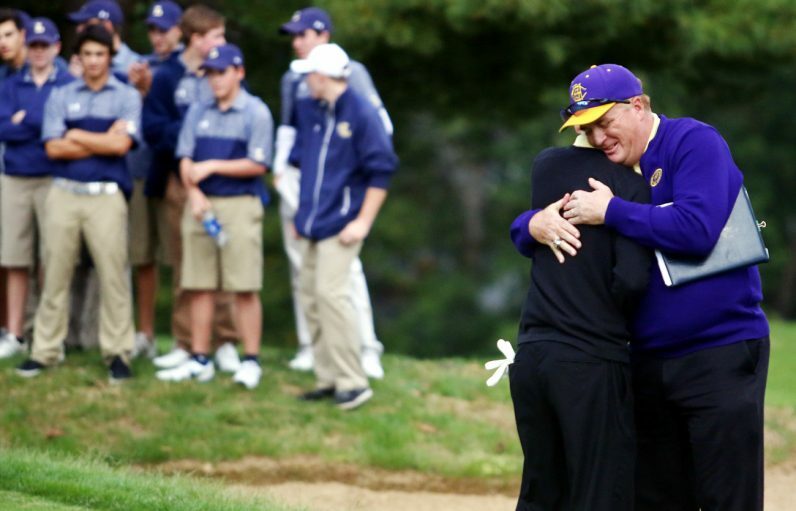 Roman Catholic coach Daniel Hoban congratulates Roman’s Alex Durelli after he won the individual Catholic League championship in a sudden death playoff. 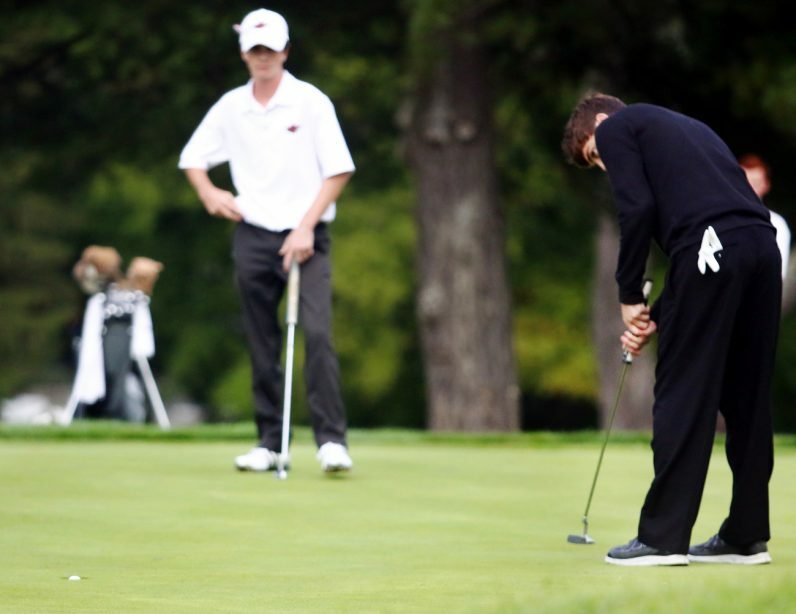 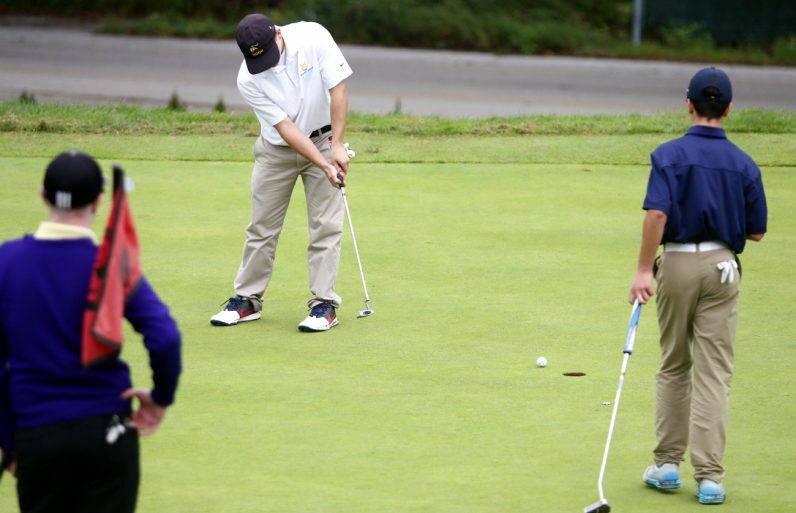 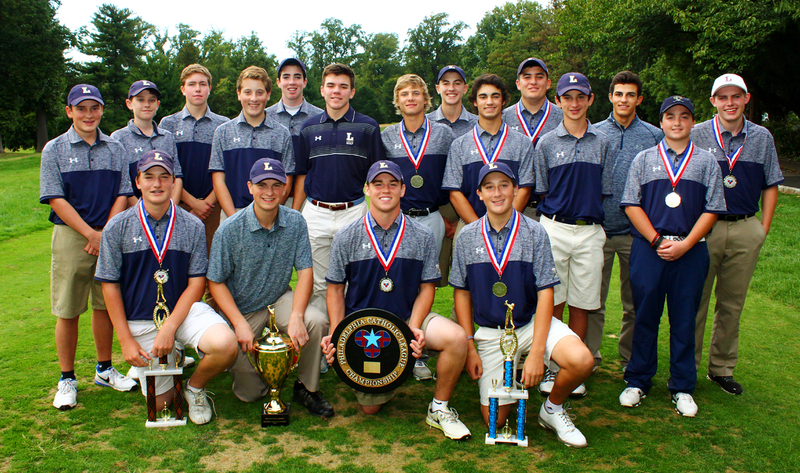 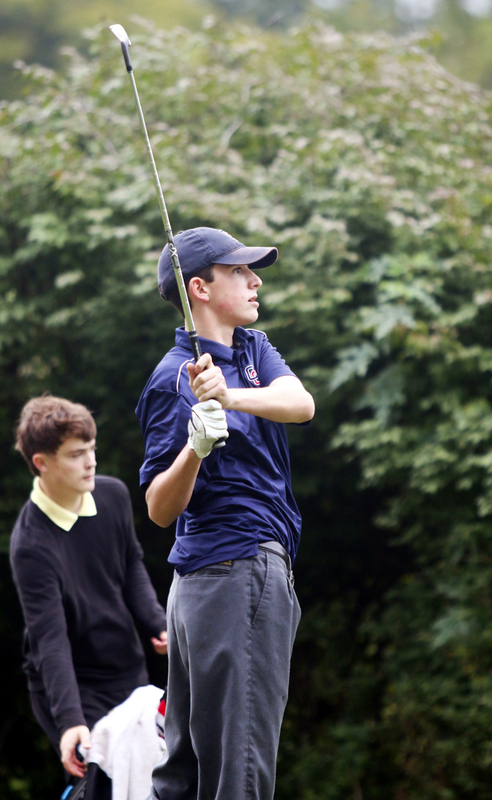 St. Joseph’s Prep’s Andrew Gallagher, left, looks on as Roman’s Alex Durelli sinks the winning putt in a playoff hole to win the championship. After shooting a 73 to tie for the lead spot in the tournament, Andrew Gallagher of the Prep attempts to sink a long putt. 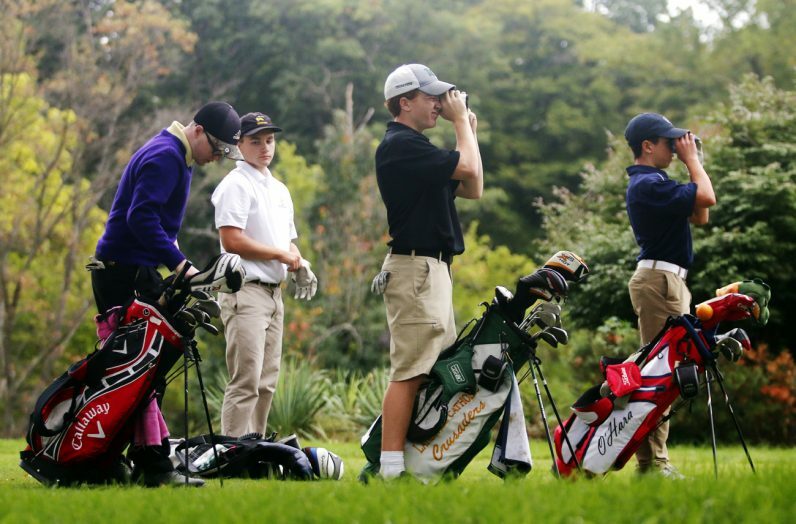 Alex Durelli drives his first shot in the first hole of a sudden death playoff at the Catholic League championship Oct. 4 as his opponent, Andrew Gallagher looks on. 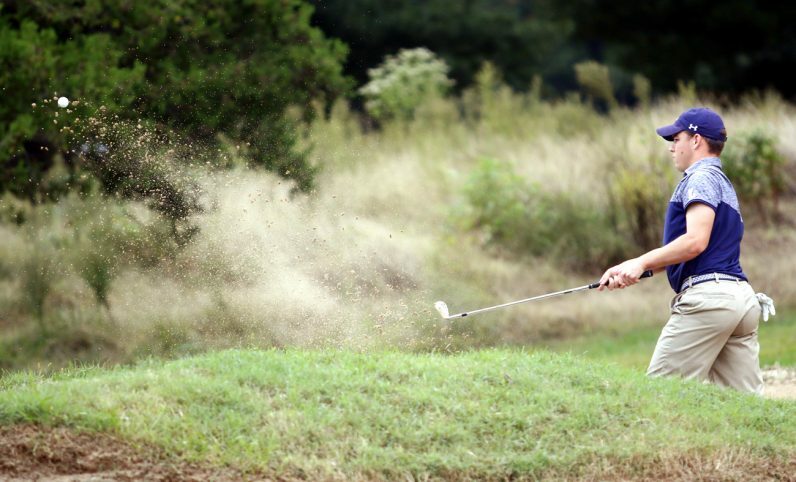 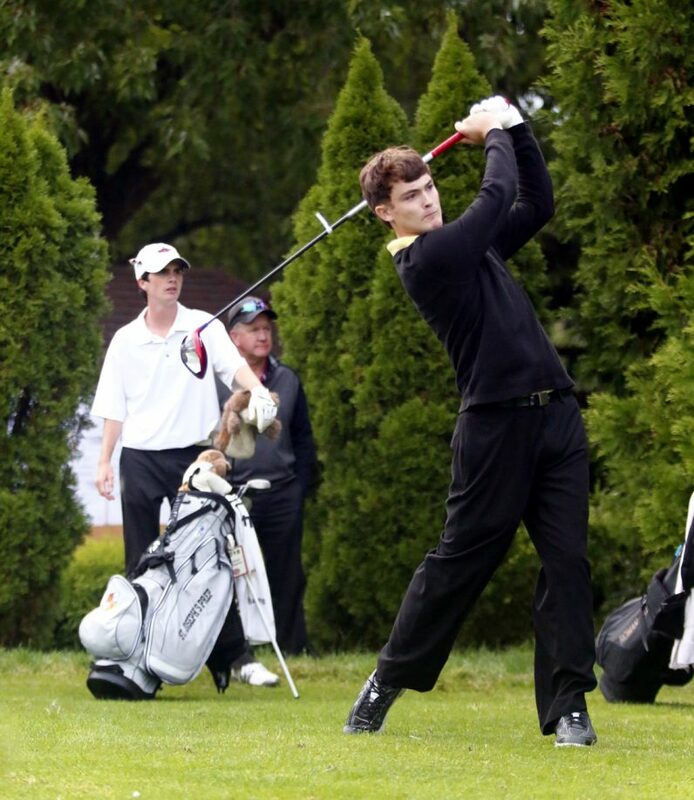 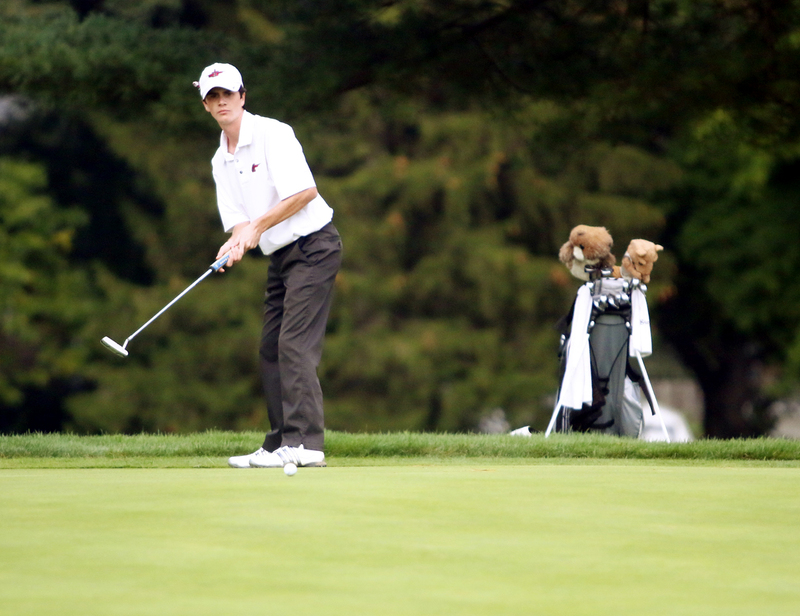 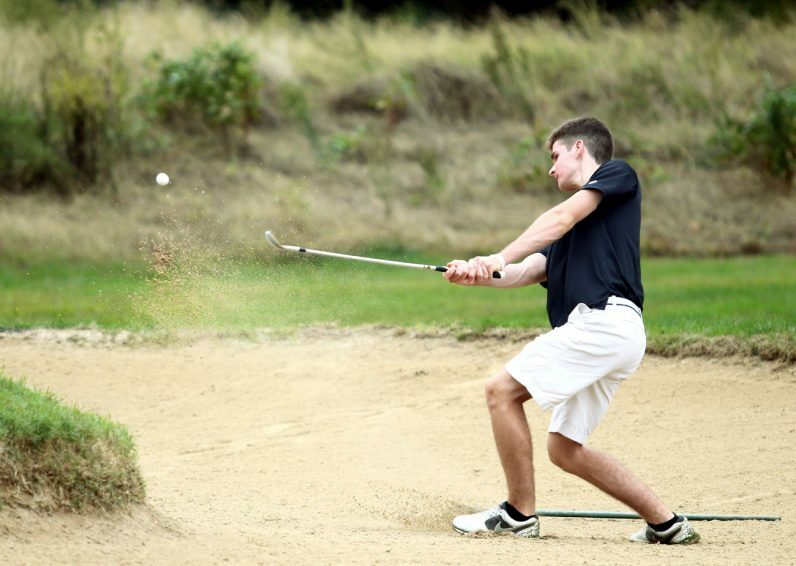 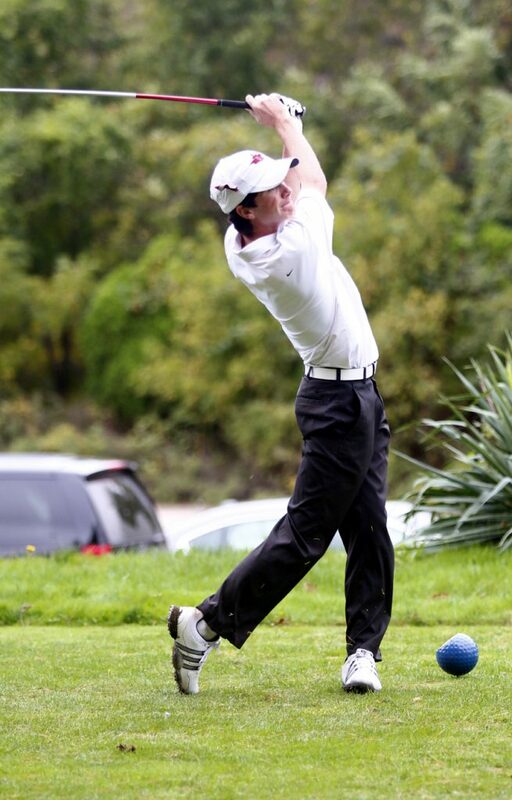 The Prep’s Andrew Gallagher tees off during the Catholic League Championship tournament. 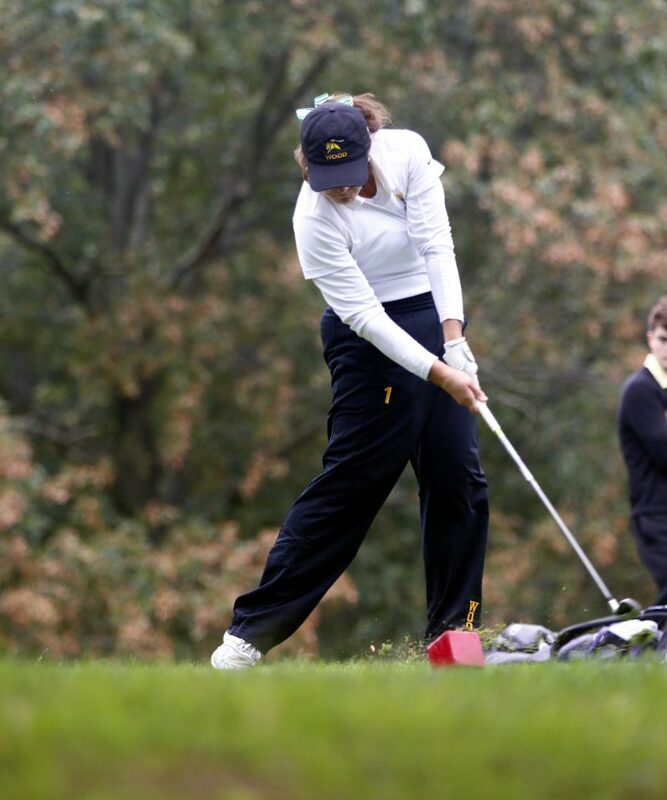 Karly Brown, a senior at Archbishop Wood High School, tees off. 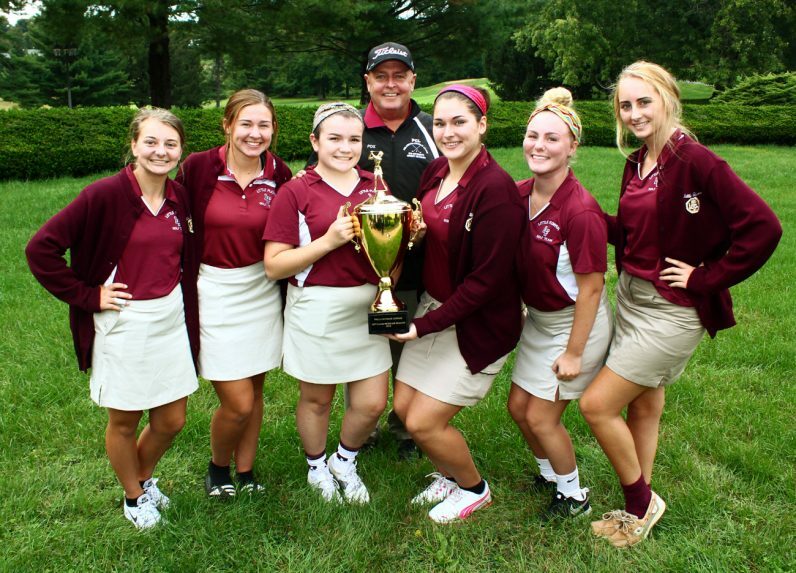 She scored a 75 on the day at Melrose Country Club to place third overall in the tournament, including girls’ Catholic League champion.